Today is Friday, April 6th, and you are invited to take part in the Blog-O-Rama Book Club celebrating Stephen King's ON WRITING. If you've read along with me and have posted a response to the book on your own blog or website, please put your link in the comments below. Need some inspiration? Discussion questions can be found here. If you missed out on this round but have read the book in the past (or even if you haven't) and would like to comment with your thoughts, please do so! I am once again kicking myself for not having read this book ten, eleven years ago when EVERYONE in my creative writing program did so. I can't begin to imagine why I didn't, except that it was challenge enough working 50-70 hours a week on top of being a full-time grad student and getting three to four hours of sleep a night. Reading was, therefore, mainly of the required nature. Fortunately, one of my mentors (and nearly all of my classmates) had read it, so I was able to benefit that way. But I was truly missing out. 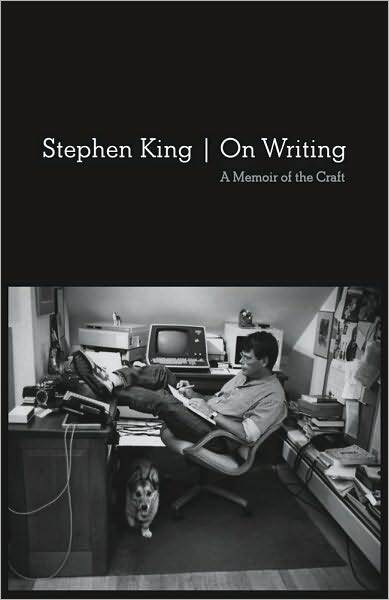 ON WRITING is a quick read and is filled with fascinating passages -- about Stephen King's childhood and life in general; about his writing journey; about, of course, the writing process. It reads like a writerly conversion in a coffee shop with someone you trust with your work. It's laugh out loud funny. It didn't make me nervous or apprehensive or doubtful about my writing or my talent, as some books on writing might. It's not in any way pretentious. My copy of the book is dog-eared and loved and quite battered after just one read, and my son GASPED when he saw me underline and star passages. Someday he'll understand. Yes, that's how I feel exactly. Writing makes me happy. Of course I look forward to the day that my novels make their way to the bookstore shelves, but if I never publish another word, writing would still make me happy. (Happy Friday, right, Elodie? :) Writing -- it's what I was made to do. "In my view, stories and novels consist of three parts: narration, which moves the story from point A to point B and finally to point Z; description, which creates a sensory reality for the reader; and dialogue, which brings characters to life through their speech. He then goes into his discussion of fossils, "writing as excavation." I've often said that my writing is organic and intuitive -- I have some characters and a basic idea of what is going to happen, and the rest takes care of itself. Sometimes I don't excavate the real story, the story I'm meant to tell, the story it's meant to be, until the third or fourth or even fifth draft. The story reveals itself as I write. I'm not a plotter. It just isn't in my nature; it's not how I write. I've tried to read the books on plotting and I've struggled with them. I am relieved and grateful -- Stephen King has validated my experience. Do you agree with Stephen King that the desire to write always starts with a love of reading? Yes, absolutely. I loved the Betsy-Tacy books so much as kid, I wanted to live the books, I wanted to be Betsy Ray, I wanted to write like that. My first stories were stories about little girls much like Betsy, Tacy, and Tib. King doesn't read in order to "study the craft" but believes that there is "a learning process going on" when he reads. Do you read books differently as a writer? Are you conscious of "the craft" as you read? I do read books differently, yes. At book club, I'm always bringing up craft and narrative devices and the like, and not always in a good way. I may not always be conscious of it as I'm reading -- and some books have less to teach than others -- but it's always there. I read like a writer. ON WRITING is a terrific, well-written (of course) book, even for non-writers. It has made its way into my Top Ten. I'm so excited to read your responses! 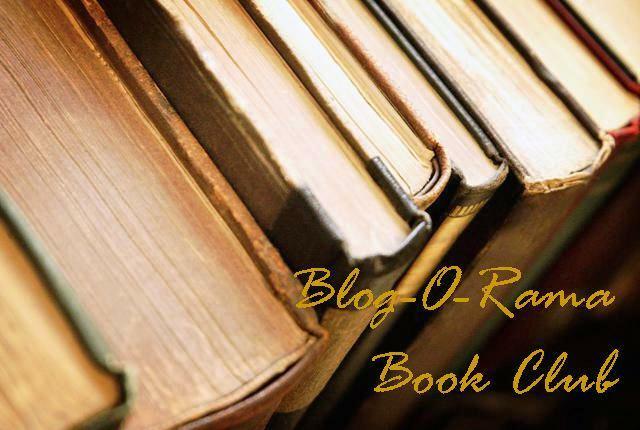 Thanks for joining in this first Blog-O-Rama Book Club. Stay tuned for another go! I Love the fuzzy feeling I've gotten from my writing, but for me, writing HAS saved my life through the dark days when I could barely breathe, it pulled me through depression and finding out the nightmares about my ex were real. Also, I've tried to be a plotter, but find it IS more like excavating for me, because the magic just happens. 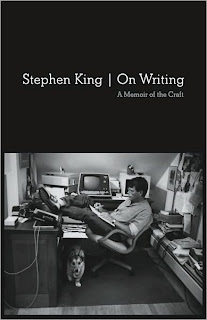 I loved Stephen King's On Writing. It really helped me feel more comfortable about the way I write (so unorganized!). I just pulled my copy off my bookshelf. It has so many dogeared pages I had to laugh. I loved Betsy, Tacy and Tib too! It helped that I was called Betsy when I was little, but I still LOVED those books. The idea of "writing through excavation" is my favorite part of On Writing. My personal analogy is from the eye doctor. In the beginning, I see a story as a fuzzy thing that I'm trying to unearth, and as I move forward, and through drafting, the picture becomes more and more clear. Great discussion of an awesome top ten book!